Dr. Michael Knights, a Boston-based fellow at The Washington Institute for Near East Policy that champions conservative perspectives, and Hardin Lang, a fellow at the liberal Center for American Progress (CAP), testified before the Senate Foreign Relations Committee. They suggested that the United States should leave behind a military force of between 3,000 to 5,000 troops to continue working with their Iraqi counterparts for at least three years. Meanwhile, Lang reminded lawmakers that Shiite, or Shia, militiamen backed by Iran killed about 500 American troops in Iraq between 2003 and 2011. When alluding to the Shiite fighters, Lang singled out the Iraqi government-sanctioned Popular Mobilization Forces (PMF), an Iran-affiliated umbrella network of mainly Shiite fighters currently fighting ISIS in Iraq. Th PMF represents the largest alliance of all Shiite militias in Iraq and is also known as the Popular Mobilization Units (PMF) and al-Hashd al-Shabi. Lang estimates the size of the Shiite militia force in Iraq to be between 100,000 and 120,000. There is a very real risk that the PMF could take root as a Hezbollah-style Iranian [terrorist] proxy. Such a development would threaten Iraqi sovereignty and undercut attempts at national reconciliation. There are no easy solutions to managing the threat posed by Iranian- backed PMF units, but the U.S. could play a constructive role in facilitating the demobilization or integration of the remaining PMF units into the ISF [Iraqi Security Forces]. While participating in the ongoing Mosul offensive in Iraq, the U.S. military is providing assistance to the PMF. The Pentagon says it is only providing support to Shiite militiamen vetted for links to Iran and terrorist groups, as mandated by law. “A large proportion [of the PMF] receives direct Iranian backing,” testified Lang. The CAP expert acknowledged that U.S. policy towards the PMF changed under former President Barack Obama. “In 2014, U.S. refused to provide them military support, but since mid-2015, American policy has evolved to include air and other support for those PMF units not beholden to Iran,” he explained, noting that the Iraqi parliament legalized the PMF in November 2016. 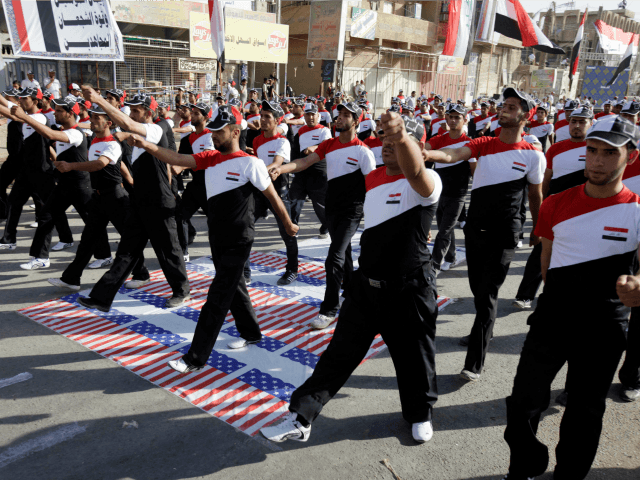 Some news reports have accused the U.S. military of providing support to all Shiite militiamen, including those linked to Iran who may have American blood on their hands. The Pentagon has denied the allegations.